Tarrerias Bonjean in Thiers (63, France), knife manufacturer for several generations, has become leader in the knife making industry by offering very high quality professional knives combined with innovating technologies. 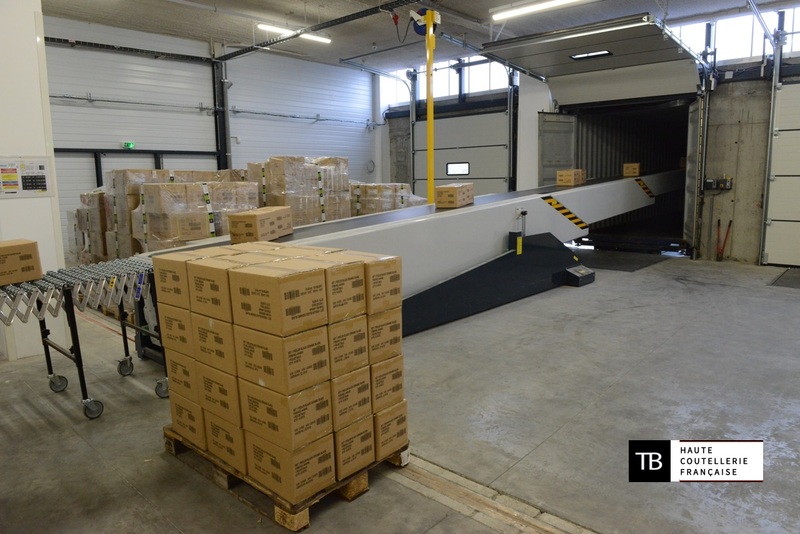 In their logistic process Tarrerias Bonjean has recently introduced a telescopic belt conveyor from FMH Conveyors for faster, more efficient and more ergonomic handling of their incoming and outgoing flows of goods. 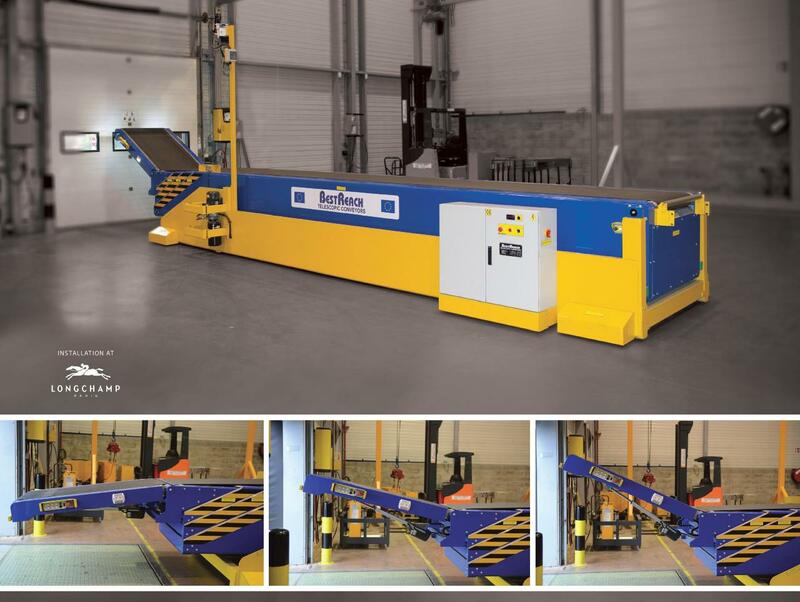 The BestReach telescopic conveyor has also here been equipped with the indispensable hydraulics and man-rider operator platform which is extremely important for today's quality requirements in France since January 1st of 2016, where new laws were imposed on all logistical processes. Quality is an important subject at TB, in every step of their operation process. Do you want to score a positive report during your next inspection? Do not hesitate to contact us. In the new distribution center at CASA International in Olen (Belgium), a telescopic boom conveyor from FMH Conveyors has been in use for several weeks. In cooperation with UVO Technologies, a combination of ergonomics and efficiency has been chosen. Thanks to the use of the BestReach telescopic boom equiped with a hydraulic tilt system and an operator platform, the incoming goods are now unloaded twice as fast as before. 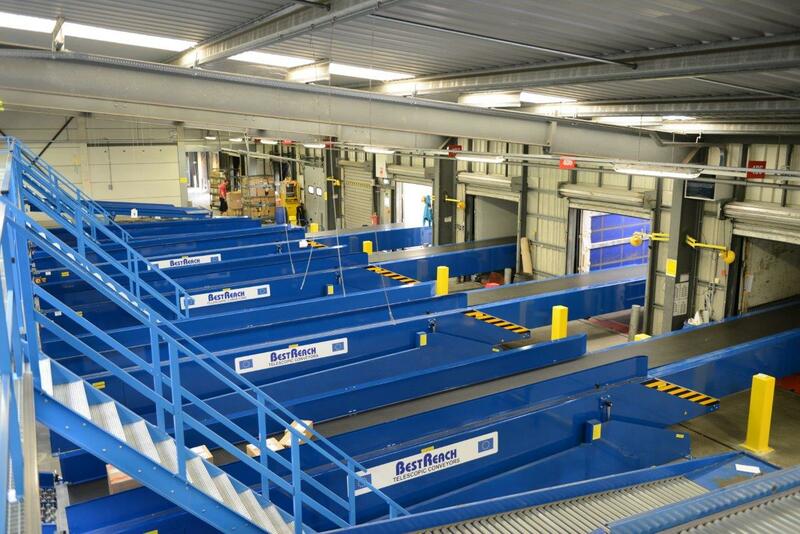 Recently, 2 telescopic boom conveyors from FMH Conveyors have been installed at DHL in Beek (NL). The telescopic conveyors feed the sorter located at a higher level thanks to their specially developed belt transfer for this application. The operator platform at the front of the telescopic boom conveyors gives users the ability to process high-cube trailers with much diversified cargo much faster. As a result, the unloading time of the incoming trailers is extremely short. Within 45 minutes, the operators unload the whole high-cube trailer and take on another task in the distribution center. 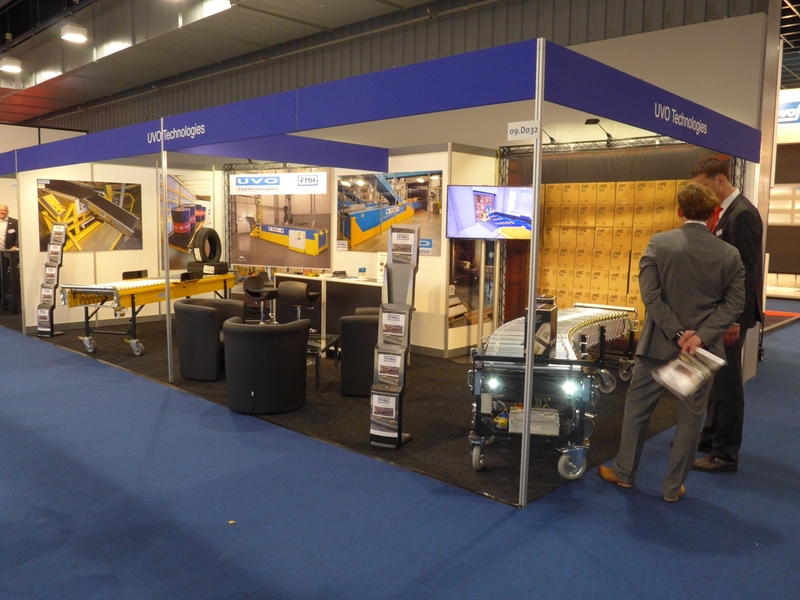 Thank you to all the visitors of our boot at Logistica 2015 for making this event of mid November successful. The largest manufacturer of flour in the Paris region takes two traversing telescopic boom conveyors from BEST Conveyors (recently FMH Conveyors) into service. In cooperation with UVO Technologies telescopic boom conveyors with an articulated belt at the front were chosen. This 2 meter long articulated conveyor belt is provided in order to bring the to be loaded bags of flour, which each weigh 25 kg, onto an ergonomic shoulder height up to the operators who fill the trucks. 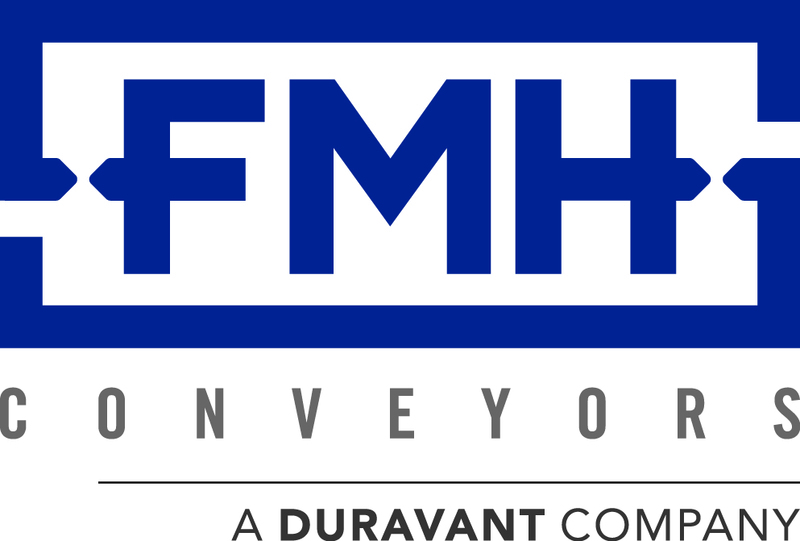 Manufacturer of telescopic boom conveyors BEST Conveyors changes its name to FMH Conveyors (Duravant Group). The name change comes after the strategic decision of the group to accommodate the entire product range and all business units in one common brand. 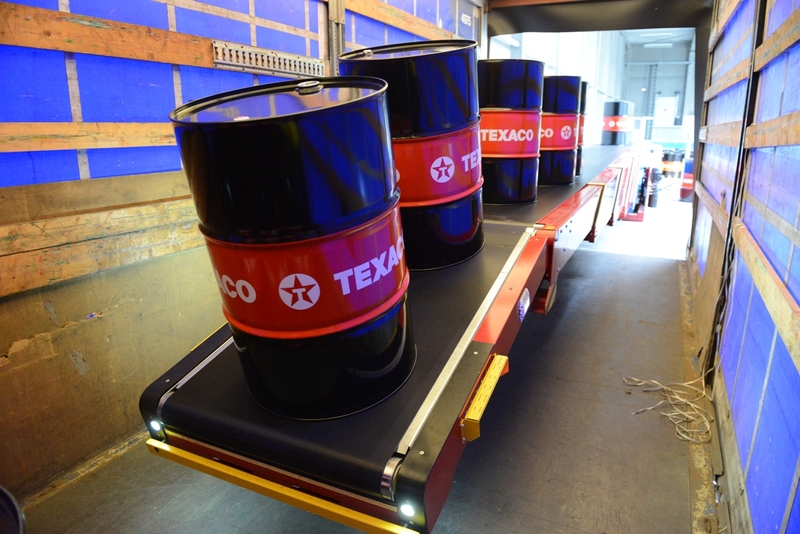 The Chevron site in Ghent found a successful solution to a common question: how can we improve the handling of empty barrels? Along with UVO Technologies, multiple systems were compared and the choice was made to procure a telescopic boom conveyor with at the front an articulated belt from BEST Conveyors. DHL Parcel, in cooperation with Vanderlande, has taken into service 9 telescopic boom conveyors from BEST Conveyors in their Eindhoven DC. BEST Conveyors is distributed by UVO Technologies in the Benelux and France area. 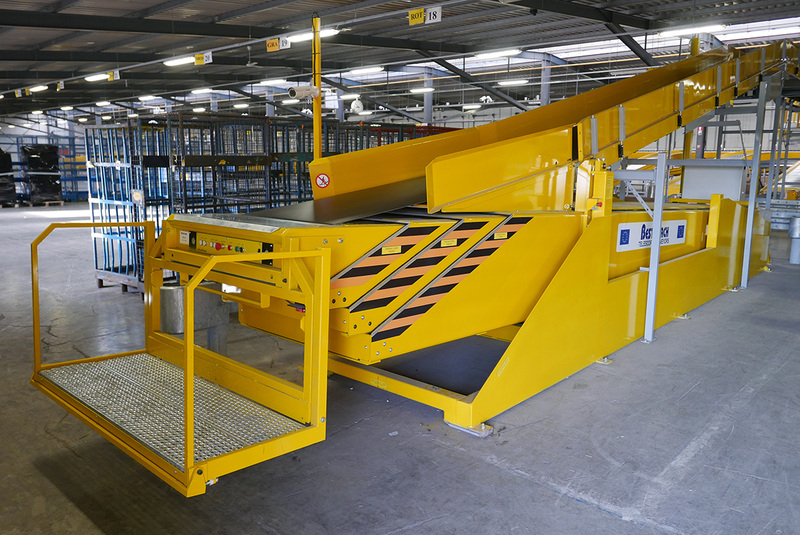 These devices, each equiped with a hydraulic tilt and man-rider platform for the operator, provide fast and ergonomic handling of the incoming and outgoing parcels. 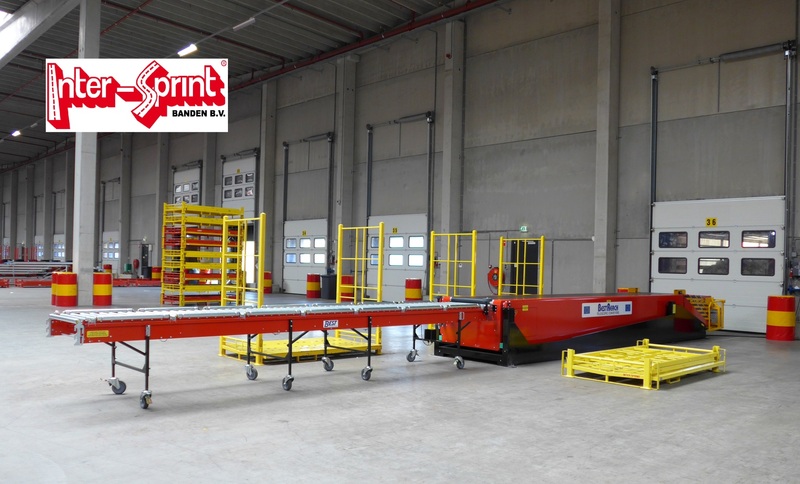 Inter-Sprint Banden B.V. developed along with UVO Technologies a new solution in order to optimize the unloading process of their incoming goods. 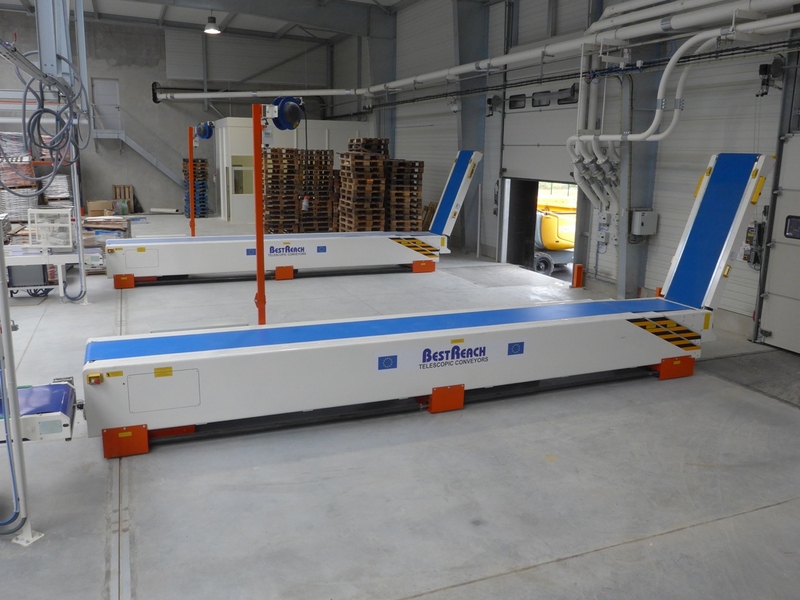 16 telescopic boom conveyors have already been installed by UVO Technologies at Inter-Sprint Banden up to today. 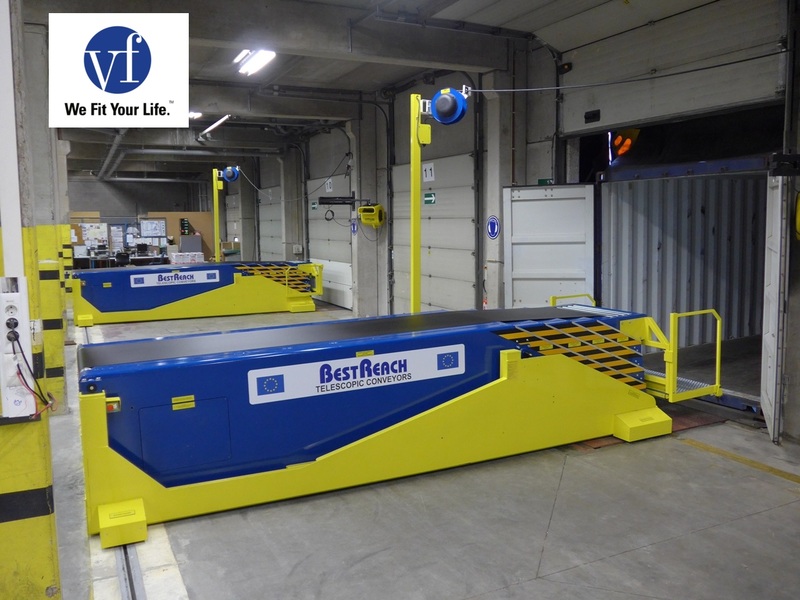 VF Europe chose BEST Conveyors telescopic boom conveyors for their loose load handling process. These 2 telescopic boom conveyors are traversing in front of 4 dock doors and are being used for the inbound process. 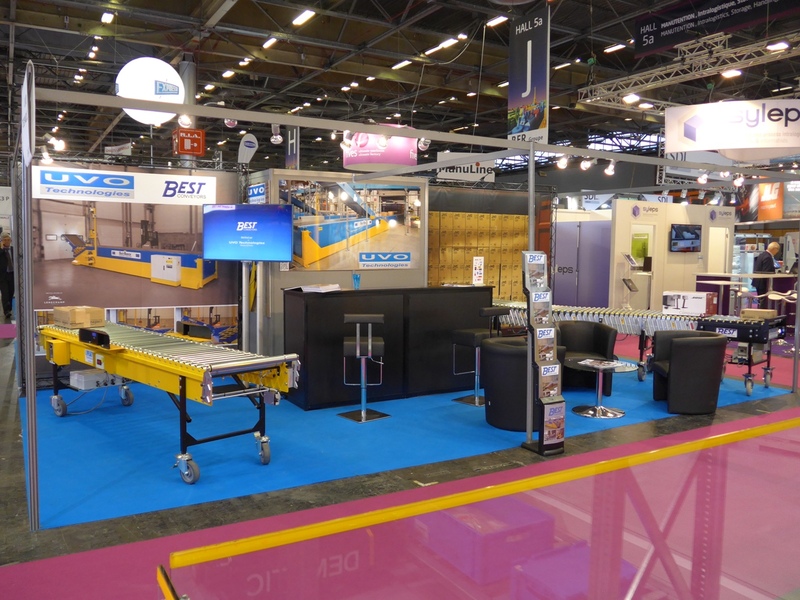 UVO Technologies was once again present at the exhibition Manutention & Emballage, held in Paris from the 17th to the 20th of November 2014. Longchamp in Segré (France) operates 2 telecopic boom conveyors from BEST Conveyors for the unloading of their incoming goods.